Electronic Shipping Solutions (ESS) aims to modernize the water-borne cargo business with their online shipping documents platform, CargoDocs™. For thousands of years, the entire shipping and trade industry has relied on paper documentation. Now ESS plans to replace this antiquated approach through the use of electronic documents. But when you’re revolutionizing an entire industry, it can be hard to quickly explain to potential customers how your product improves the status quo. So ESS turned to Kickstart Concepts to develop a series of infographics to illustrate how their products and services stack up against the current document management process. 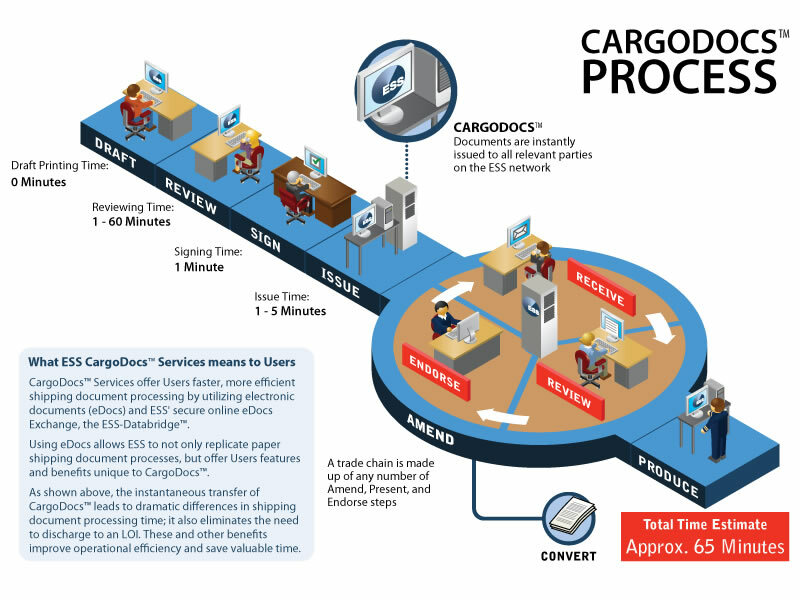 After working with the client to gain a detailed understanding of how the shipping process works and how ESS improves on it, we developed a series of graphics depicting several different document management methods and the benefits or drawbacks of each. Now customers can understand, at a glance, what ESS has to offer and why their products will bring the shipping industry up to speed.